Bunny Williams has long had tempting outposts to purchase her chic products and finds. 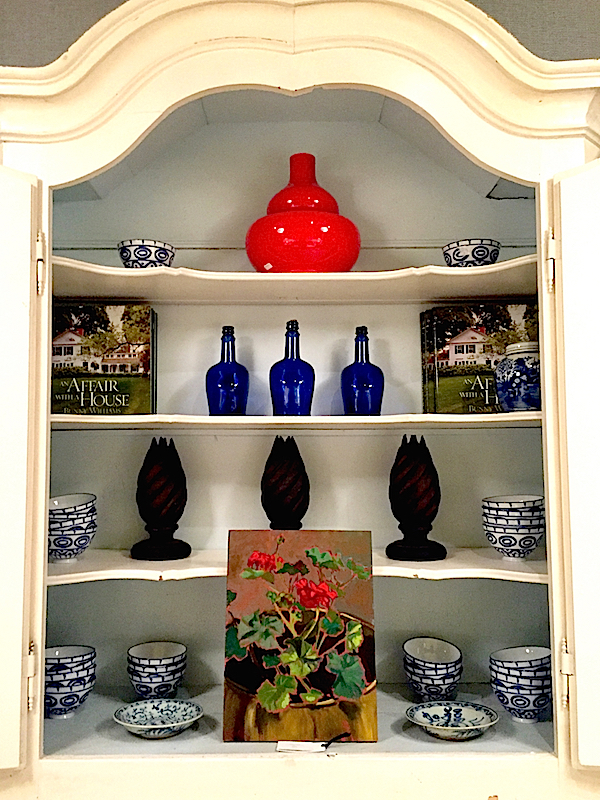 Whether shopping for Bunny Williams Home collections through the trade or directly online or seeking unique vintage selections at her former Treillage stores, you were always assured of finding something special for your home. 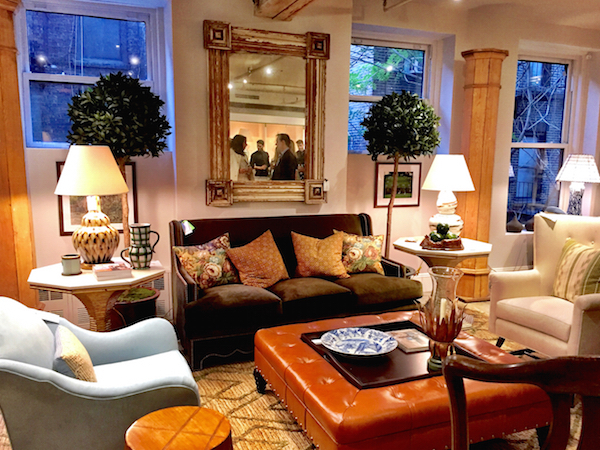 But now the new Bunny Williams Home Flagship Showroom in The Fine Arts Building at 232 East 59th Street in NYC is a one stop shopping treasure trove for all things created or curated by Bunny’s eye. At the launch event this week, I had a chance to take a peek. 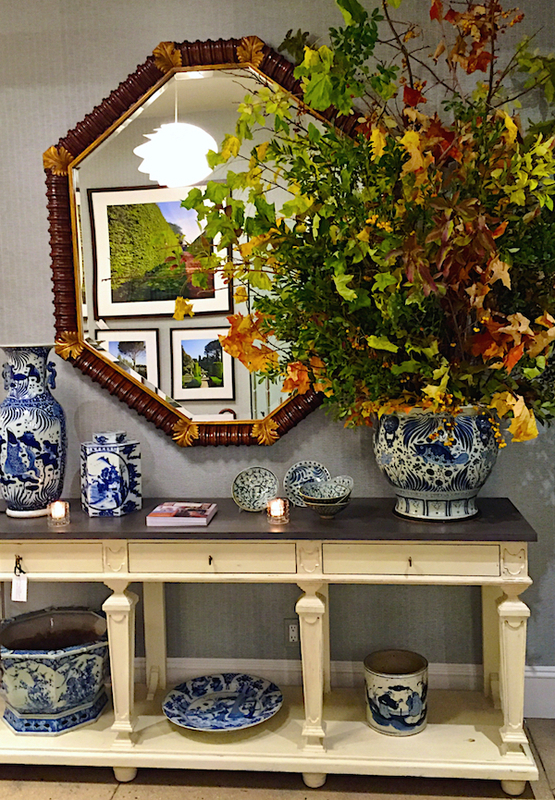 Classic pieces such as the Acanthus Mirror and Swedish Server, above, mix beautifully with blue and white accessories. 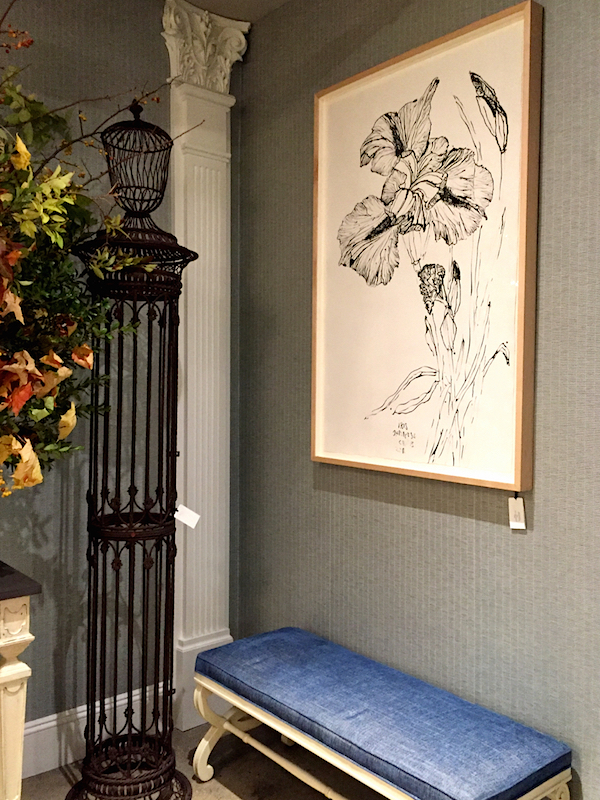 A revolving selection of art, whether original one of a kind or limited edition prints such as the fabulous Christian Brechneff below, will be constantly updated and changed. In true Bunny style, everything is stylish, comfortable, functional and perhaps most importantly welcoming. We all agreed that we were ready to move right in. 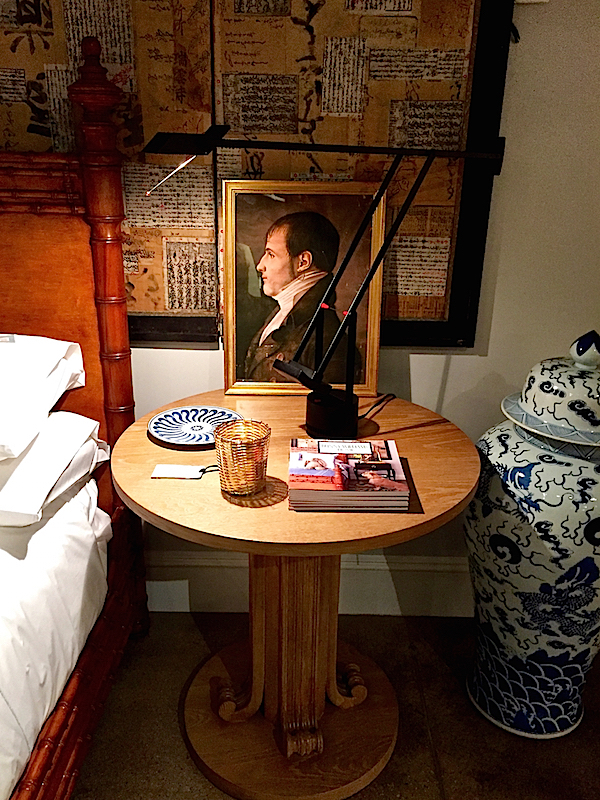 Just like a well designed room, there are defined seating areas with neighboring tables for books, candles, lighting and a place to put a drink. 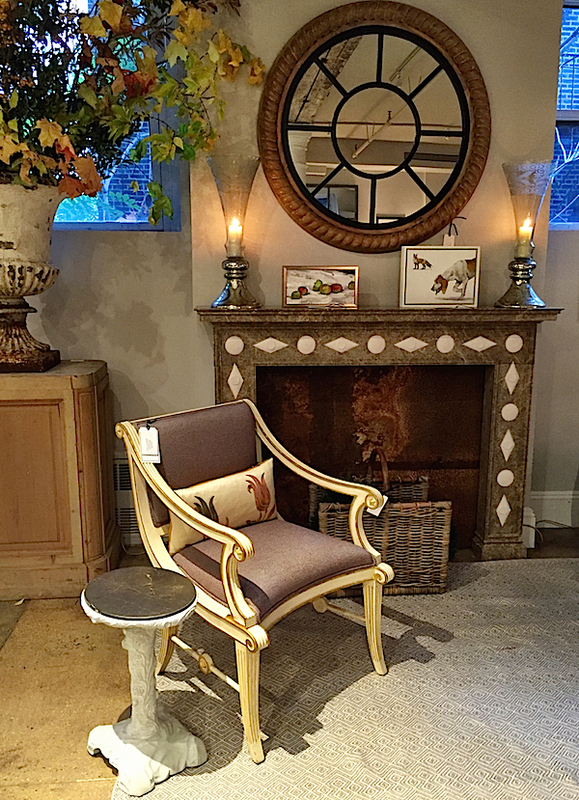 It’s wonderful to have representation of all Bunny’s lines, from furniture, rugs, lighting and mirrors to art and accessories and even mantels (her Veneto mantel for Chesney’s below), in one place so you really have a feel for how it can all work together to mix and match with your own pieces at home. 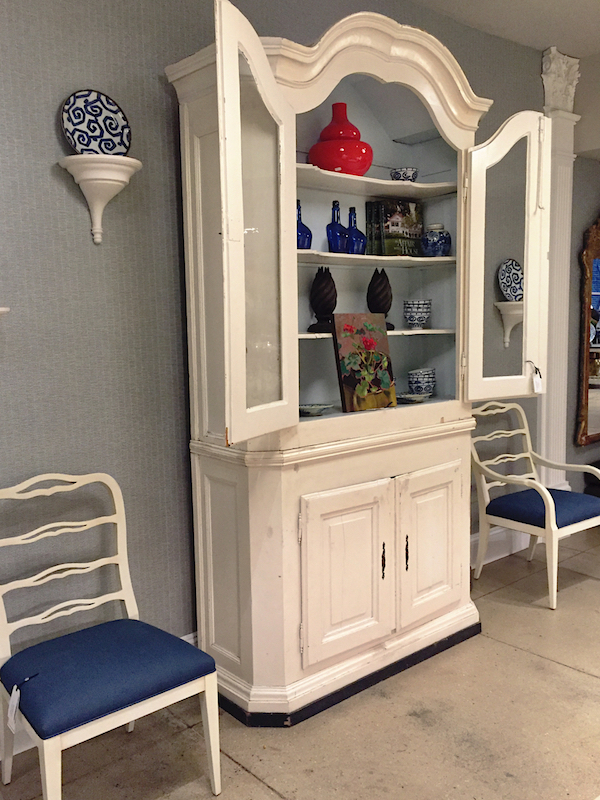 A multitude of chic vignettes illustrate examples of functional style that can be emulated throughout your home. 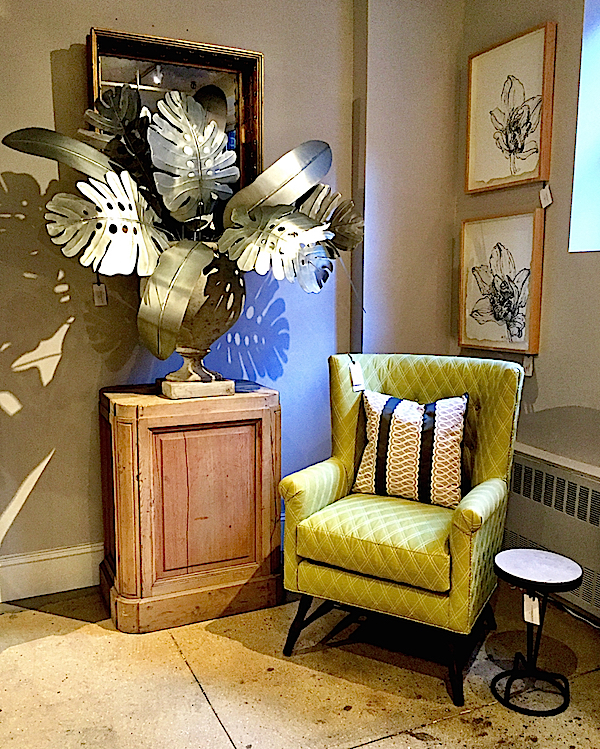 What a great style statement these fabulous oversized zinc leaves Bunny designed for Ballard make! There are lots of take away design moments in this very residential-like space. 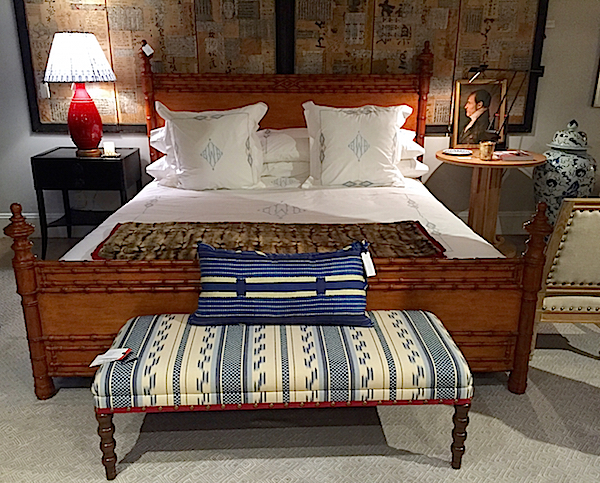 The new Bamboo Bed is already a hit, shown below with the Red Tape Bench upholstered in Bunny’s new Alexandra Ikat for Lee Jofa. with a surprise visit from Bunny and husband John Rosselli later in the evening. 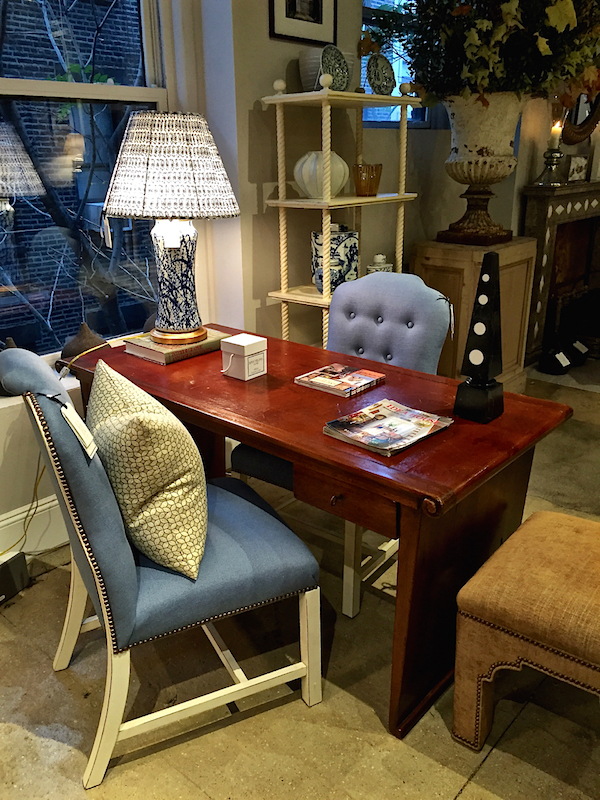 Like at Treillage, one of a kind antiques are featured in the mix with new pieces and accessories. 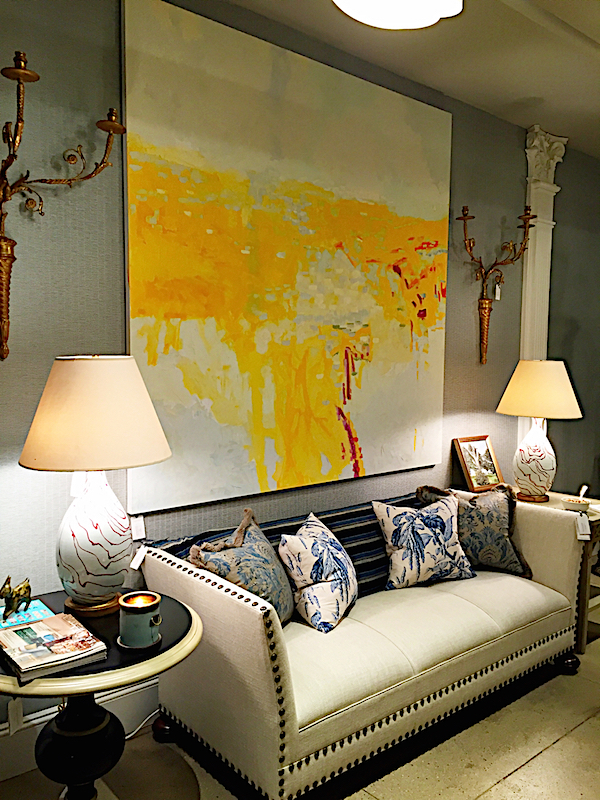 Whether you have an apartment or a house, large or small, you’ll be hard pressed to visit the new Bunny Williams Home flagship store without wanting to bring some of Bunny’s inimitable style home! This entry posted in art, furniture, interior design. 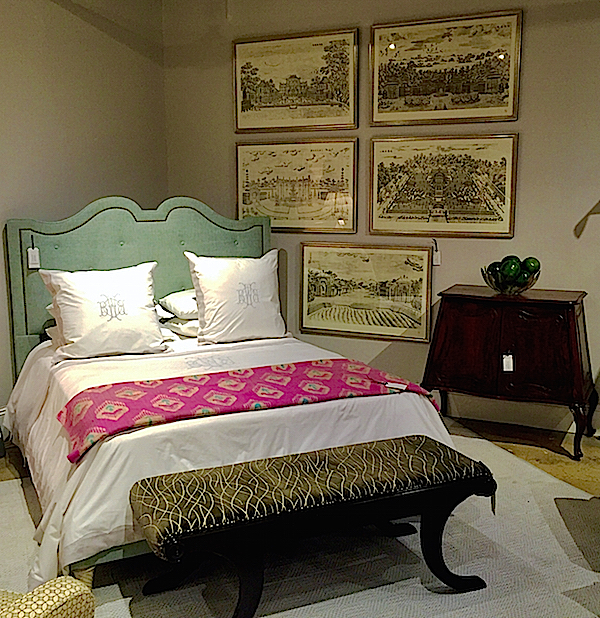 Entry Tags: Bunny Williams, Bunny Williams Home, Designer furniture, interior design Bookmark the permalink. Thank you for taking us on a tour through your eyes Stacey! It is such a warm and beautiful collection of pieces from such a talented woman. 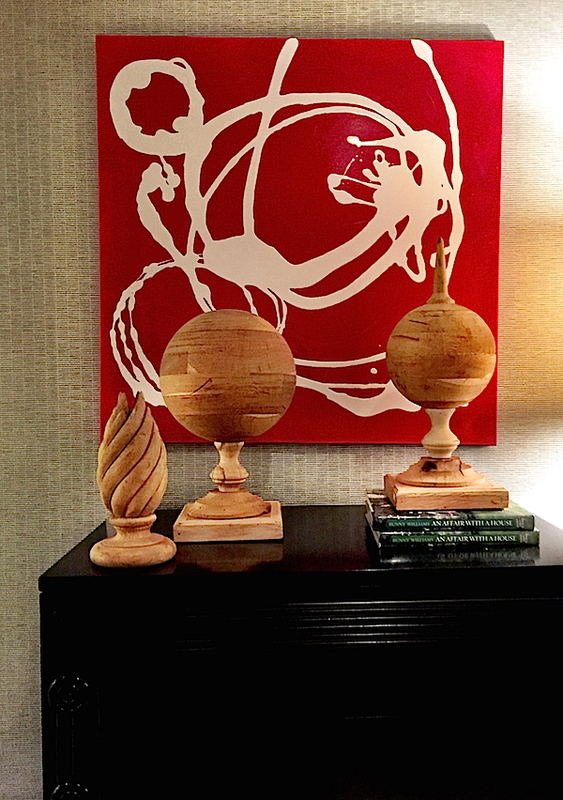 It was such a treat to scroll through your post and see my red painting! All very lovely! 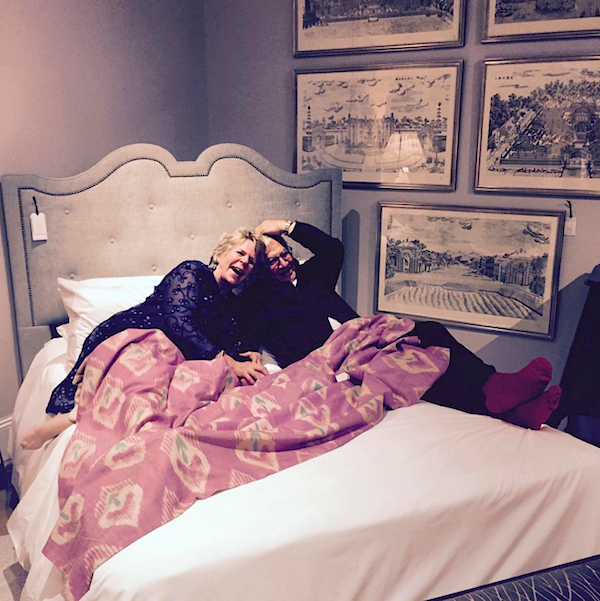 Fell in love with the bambo bed and fell out of love quickly when I checked on the price! Phew….too much for my pocket book. I was just there last month! Stacey it is all fabulous and there are so many pieces I absolutely adore, well everything from Bunny actually!! Love Bunny Williams. What a beautiful yet livable setting. Gorgeous. She has reinvented herself again. I will visit soon. Thanks for sharing. I get the feeling pictures don’t really do this justice… I would love to see it all in person! The mirrors and the artwork are particularly gorgeous. 80 queries in 0.430 seconds.